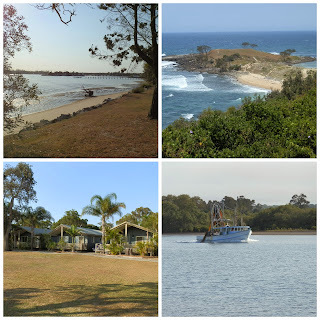 Quilty Bits from the Blue Room: Yamba Weekend. 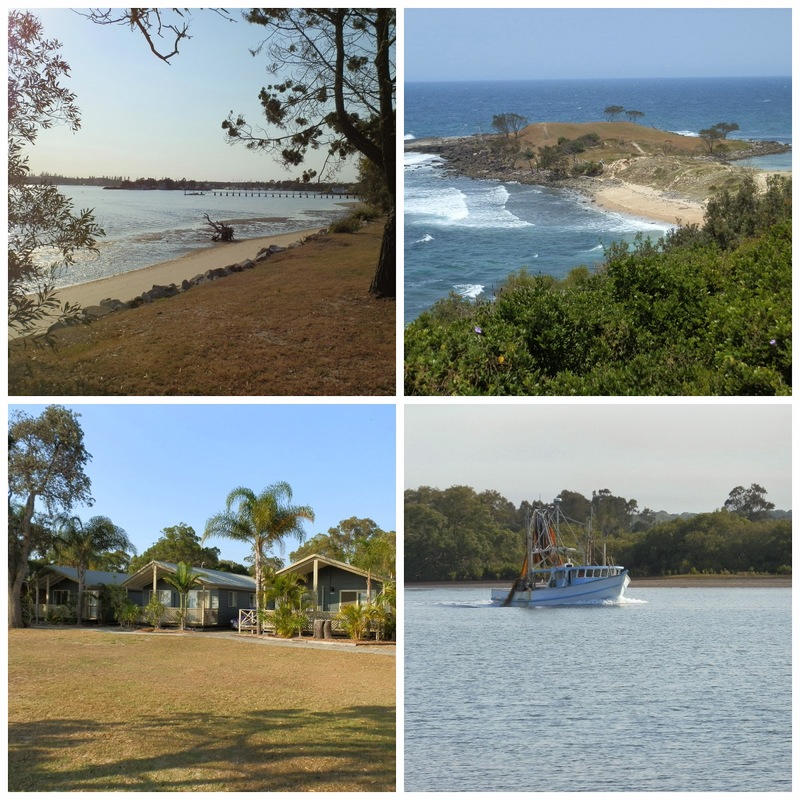 We enjoyed our weekend away at Yamba and as usual it went very quickly. 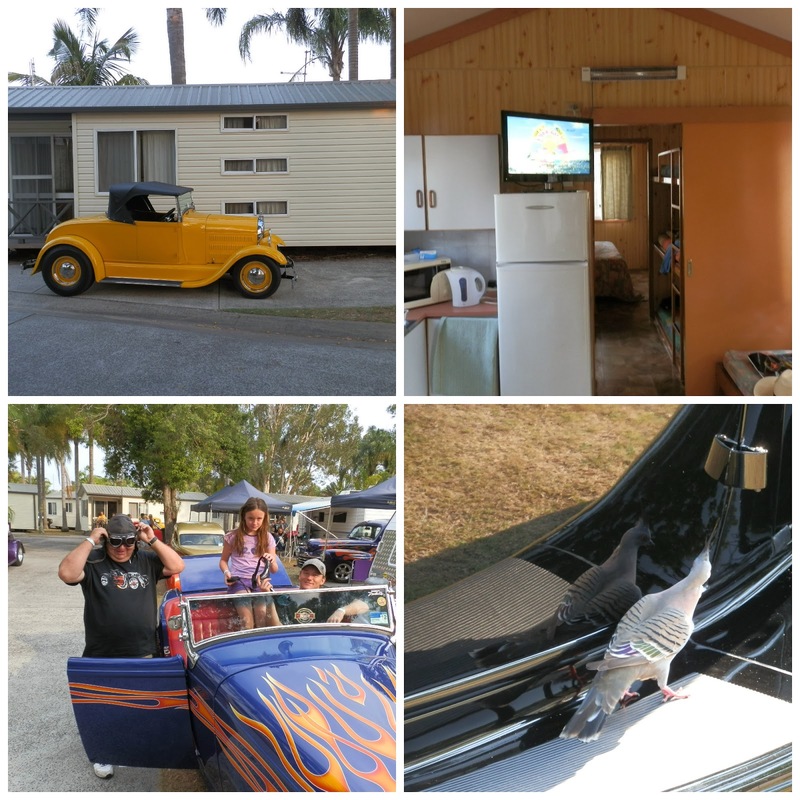 We stayed at The Big 4 caravan /camping park and were lucky enough to have a small cabin for our accommodation. Over 200 cars there for the weekend so you can imagine it was quite noisy when all those hot rods went for their nightly cruise around the park. We were on the corner and the whole cabin seemed to vibrate as they went past. Top, our cabin. Bottom, Our friend going for a cruise, not sure what look he was trying to achieve. This bird was attracted by his reflection and kept pecking at the car, the owner wasn't too pleased though. On Friday, we had a bit of a drive around the area. 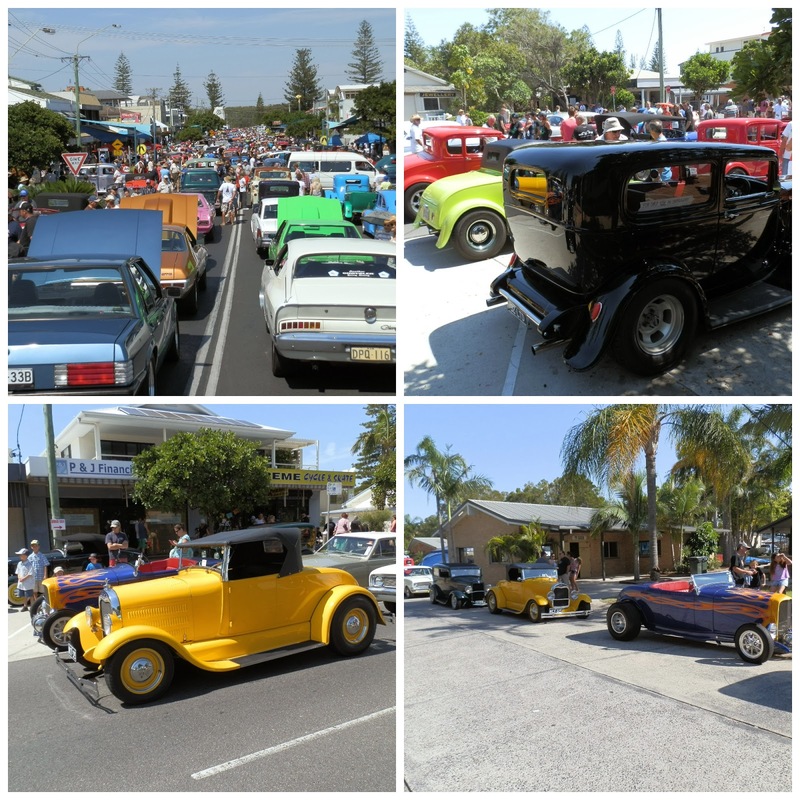 Saturday morning and the Show and Shine was on in the main streets. The weekend was great and I also managed to get to two quilt shops whilst there, one at Maclean which we found by accident on Friday (a big thank you to my hubby for pointing it out) and the one in Yamba on Saturday. I bought a few bits and pieces to add to my stash. Must have been having a blue and red day. The bottom fabric is a laminated one from Riley Blake so maybe a bag from that. I just love touching this as it is so soft. Well must go, hope to get back later tonight and catch up on all your blog posts. Sounds like a great weekend Noela....I see a few pieces of fabric in your purchases that also reside in my stash. Sounds like a fun weekend. Love your fabric purchases too. 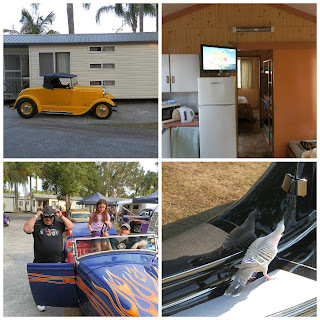 The scenery photos are gorgeous and the hot rod shows are always fun. I've gotten to love them over the years!!!!! I think I see a red and aqua quilt in your future judging by some of those purchases. What a good hubby to point out that quilt shop for you. Love your new fabrics. Looks like you had a good weekend. Great photos, looks like a great weekend....gorgeous fabrics..
Lucky there's a patchwork shop in Yamba!! Love the ocean shots...love the ocean. Great hubby beautiful fabrics what more can a girl ask for. Love Yamba...beautiful spot! Lovely fabrics....brownie points for hubby.